Musical host on Aug. 2 is Jonnie Morgan—awarded #1 Songwriter in the Nation by legendary producer Quincy Jones and hit songwriter Andrew McMahon in 2017. Beginning Aug. 2, Motorworks Brewing will host a new monthly Singer-Songwriter Night (first Thursday of every month) in their Beer Garden. Musical host Jonnie Morgan—awarded #1 Songwriter in the Nation by legendary producer Quincy Jones and hit songwriter Andrew McMahon in 2017—and two featured artists (rotating monthly) will take over Motorworks’ live-music stage for a Nashville-style Songwriters Night. The Singer-Songwriter Series will showcase musicians sharing original songs in turn, swapping their unique stories, sonic styles and joining together for group jams. 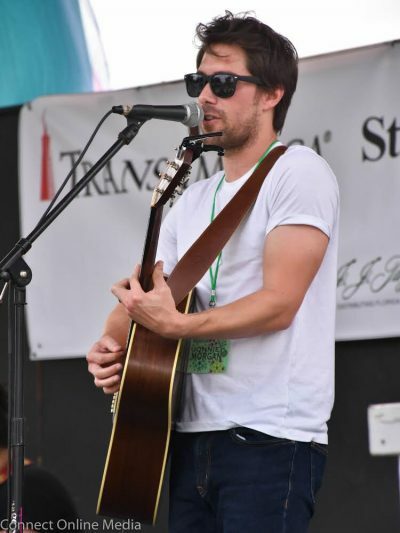 In addition to host Jonnie Morgan, the inaugural event will feature Folk/Americana guitarist Joshua Reilly and burgeoning St. Petersburg-based songwriter Olivia Romano. For more information, see Facebook and their website at www.motorworksbrewing.com. Motorworks is at 1014 9th St. W., Bradenton.